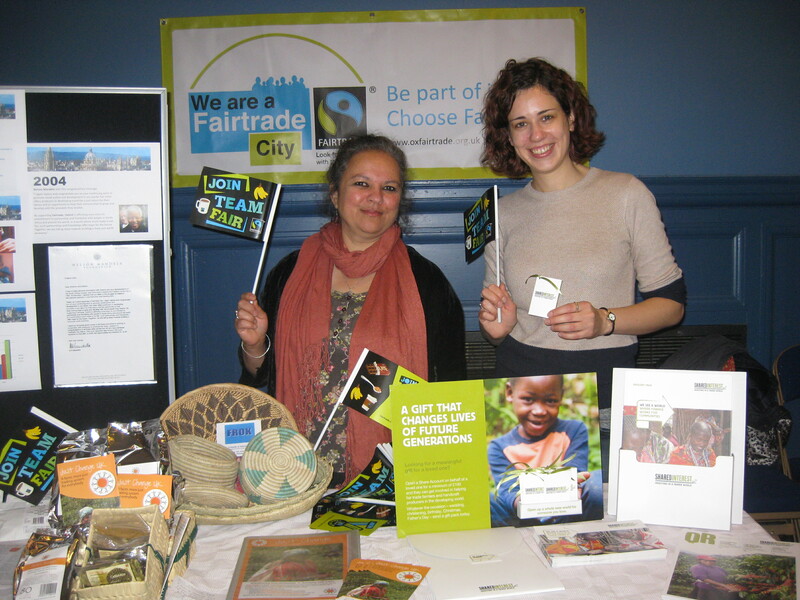 Oxford Fair Trade Coalition members shared a stall with Shared Interest, the ethical investment co-operative, at the One World Fair last Saturday. We displayed a timeline showing Oxford’s – and Oxfam’s – pioneering role in the Fairtrade movement It was a great opportunity to talk to people about Fairtrade (including dispelling some persistent myths! ), to sell a few fairly traded products from our stall and to network with other stall holders who we hope will join Oxford Fair Trade Coalition and help us support each other and fly the fair and just trade flag. This entry was posted on Tuesday, November 20th, 2012 at 8:14 pm and is filed under Uncategorized. You can follow any responses to this entry through the RSS 2.0 feed. You can leave a response, or trackback from your own site.